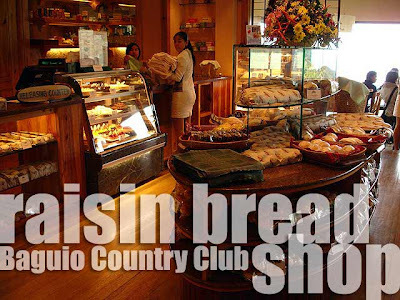 When family and friends hear you're on your way to Baguio Country Club, one pasalubong request stands out: raisin bread! The next day, we had breakfast in the Raisin Bread Shop of the BCC. And of course, I bought their signature raisin bread and banana bread to take home. 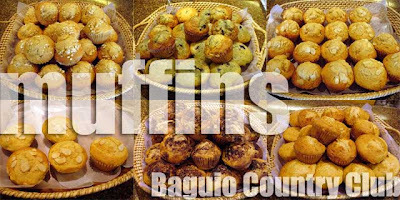 Don't miss out on their equally famous blueberry muffins among many other muffins. I'm sure their cakes are equally mouth-watering. In fact, the cake display case beckons to every customer who enters. But I had enough sugar for the morning. Also available in the bread shop are deli sausages and cheeses among many other products. I had wanted to stay an extra night but I had to rush to an evening meeting in Makati. So that ends my 3 weeks of non-stop travel. It's back to school. In a way, it's time for a vacation from my vacation. Hahaha! Hi! Do they allow guests who are not checked-in at BCC to buy from their bakeshop and dine at their restaurant? 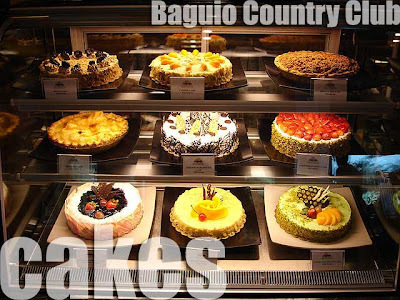 We will be going to Baguio over the weekend, but we will be checking in at the Forest Lodge. 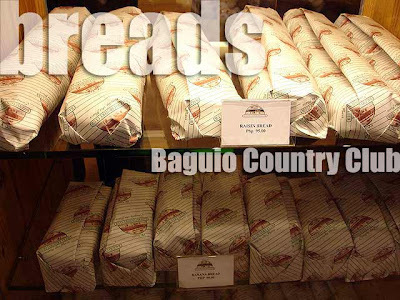 I was wondering if we can just buy some bread from their bakeshop, even if we are non-members or are not guests.